Michael Head is to play St. George’s Hall in October, following a majestic Manchester show last week, Getintothis’ Ian Salmon rounds up the action. With Shack, The Strands and The Pale Fountains behind him, you’d forgive Michael Head for resting on the laurels of a stellar discography, but with his latest outfit The Red Elastic Band he’s still a cult force to be reckoned with. With some mighty performances already behind them the six-piece are one hell of a live proposition, and they visit St. George’s Hall this October 3 with support from Professor Yaffle and Tenements. That the show sold out in 15 hours should tell you a lot, but I know what you’re thinking, I know the question you’re asking. And, yes, that’s about the size of it, I did, I have. There are good reasons though. Honest. One – I’m a busy man, I do have other things going on (splendid things, spectacular things, feel free to ask me at some point). Two – I thought everybody would be talking about it; it was that kind of gig. The kind of gig that everybody talks about, the kind of gig that everybody swears blind that they were at. That they were present for. That they were there for the moments. And God, there were moments. There were such moments. 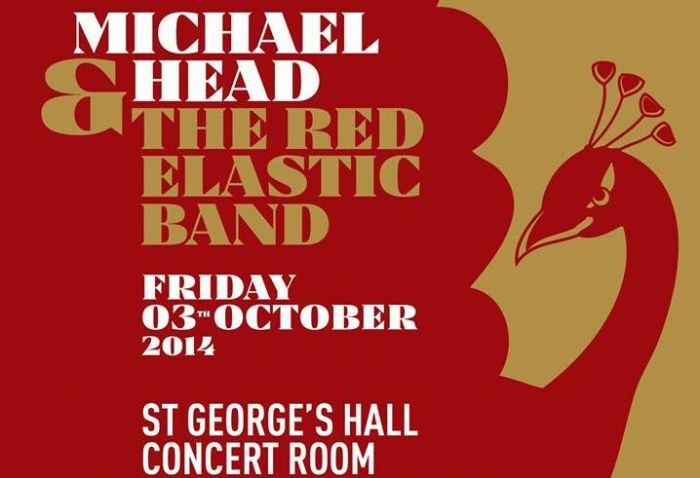 A Michael Head show – come on, let’s call him Mick shall we? We all know that’s what we actually call him, and that we all feel we know him well enough to do so is a special thing. Anybody that’s ever seen one will tell you that. They won’t be able to describe exactly why but they’ll try. Anybody that was at The Scandinavian Church (and there weren’t many of us, it’s tiny, it was select, it was a privilege) to witness Mick with only a cello to accompany, anybody that saw the full band at The Kazimier last year, anybody that saw him on Friday with Cello and Trumpet will try to tell you why it was so special and will fail. So I’ll try. I may fail but if I convince one person that hasn’t seen Mick before in any guise that they should, then the world is a better place. 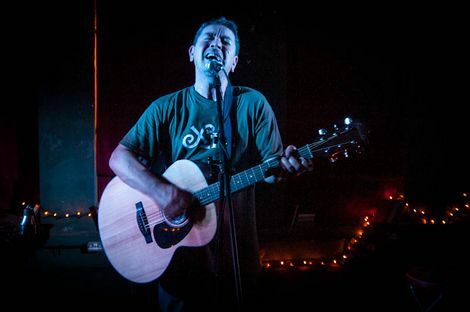 Mick Head gigs are about love. They’re not about something as simple fandom or about people who quite like the songs turning up to hear the hits, they’re about a communication between the artist and the audience, they’re about the fact that the audience inhabits every song, lives every song, holds onto every second, knows how special and fleeting and wonderful every moment is. And the moments are like this; Meant to Be was never a single. I don’t think it was a single. I don’t remember it being a single. Live, it’s greeted as though Paul McCartney had just decided that throwing in all of Sgt Pepper mid set was something that you just do. It’s rapturous. Every time you see it, it’s rapturous. It’s played twice tonight. It’s often played twice. You can’t hear it enough. “We’re going to try some new ideas”says Mick, adding that “New probably means you’ve already heard them.”We have. Kate Bush may be banning iPhones, Prince may have already walked that path but their presence here means that we know the new songs before they start. We know them word for word. Their presence also means that those of yo not here can see the encore. We’ll come to that. Queen Of All Saints is an old friend already, Velvets in The Dark is….. we’ll come to that as well. It takes a brave man to tackle Simon & Garfunkel’s For Emily, Whenever I May Find Her, Art’s vocal high point. 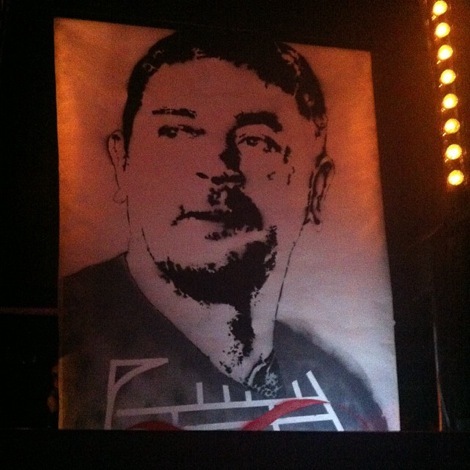 Michael Head just does it as though it’s the most obvious thing on Earth. Obviously he hasn’t got Art’s range – who has? – but it makes so much sense. The other cover of the night? Yeah, we’ll get there. The majority of last year’s Artorius Revisited EP is here as well; the escape of Cadiz, the (literal and metaphorical) trip down Bold St that is Lucinda Byre and Newby Street. Ah, Newby Street. I’ve been very public elsewhere and very vocal about Newby Street so I’ll say it again and I’ll say it here; Newby Street is the best song that anybody’s written in the last twenty years – as perfect a piece of pop craft and beauty as you could ever wish to hear. ‘Newby Street is the best song anybody’s written in the last twenty years?’ A bold claim. I said that last year and I’d stick by it but for one thing; Velvets In The Dark is better. Velvets In The Dark is utterly, indescribably beautiful. Perfect, glorious, majestic, hypnotic, an absolute stone cold instant classic. Genuinely one of the all time greats. Surely he’s not? He can’t be? Not THAT Waterfall? He is. He can. It is. 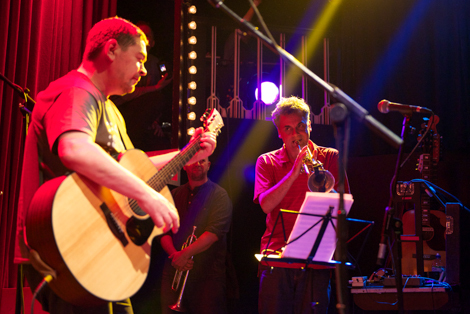 In Manchester, Michael Head plays The Stone Roses. Just Mick, his acoustic, a cello and a trumpet.